Can’t Get into Your Car or to a Locksmiths? Finding yourself unable to get into your car and also unable to get to a car locksmith is one of those immensely frustrating, bordering on nightmarish situations that at first seems completely impossible to resolve. However, it’s no time to lose your cool and kick your car or start walking home, as help is at hand! Why Can’t You Get into Your Car? Locking your keys inside your car – Yes, this still happens! Whatever the reason why you can’t get into your car, our auto locksmiths are on call 24-7 across Perth and surrounds and here to help you gain access to your vehicle without causing any damage. Our 24-hour locksmith service has helped many car owners get into their car quickly and easily, so give us a call if you can’t get into your car at any time of the day or night. Unlike many other locksmiths, at Action Lock Service, we have mobile locksmiths who can come to you and help you get into your car – wherever you are. Here’s how we can help you if you can’t get into your car and you can’t get to a local locksmith due to the time, distance or the urgency of the situation. Unlock the Car – If your keys are locked inside your car, one of our 24-hour locksmiths will use specialist techniques to gain access without causing any damage to your vehicle. Repair Transponder Keys and Remotes – We can repair car transponder keys and remotes in most situations. If it’s a damaged transponder or remote that’s preventing you from getting into your car, we may be able to fix it on the spot. Car Key Replacements – If you’ve lost your keys and can’t access another set, we can get the code from the ignition cylinder or VIN and then cut a new set of keys for you. Naturally, we must check to ensure that you’re the legal owner of the vehicle. If you’re covered by a comprehensive vehicle insurance policy, there’s a very good chance that our 24-7 locksmith services are covered. This is something you may like to think about the next time it’s time to renew your insurance policy, as you never know when you might find yourself locked out! With Action Lock Service, whatever the reason why you can’t get into your car, we’ll arrive promptly at your location and manage the situation for you, enabling you to gain access at any time of the day or night. To contact us, click here for our contact form, or alternatively, call us on (08) 9240 7200. 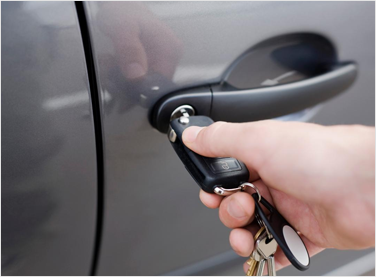 We look forward to helping you gain access to your car or resolving any automotive lock issues you may be experiencing.